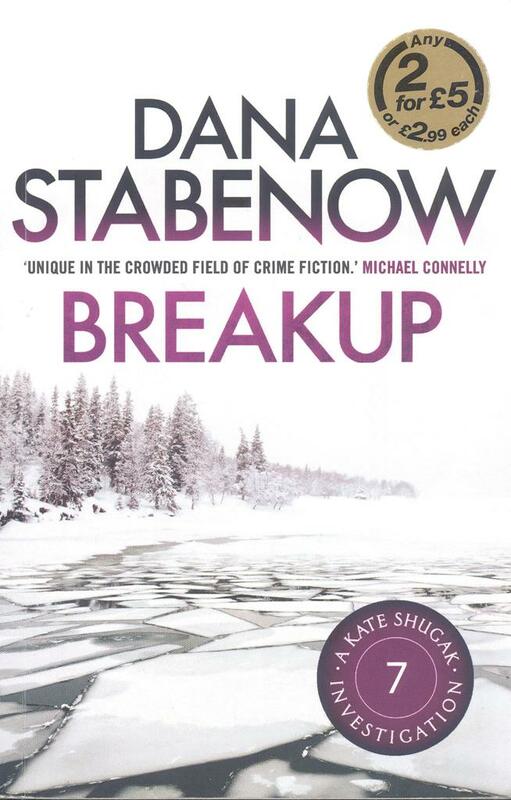 Dana Stabenow - the Kate Shugak Alaskan Novels. I was in a charity shop in Exmouth, Devon, in September, 2015 and noticed that they had a special three books for £1 offer. There are lots of these offers in charity shops, but usually I struggle to find one book, let alone three. 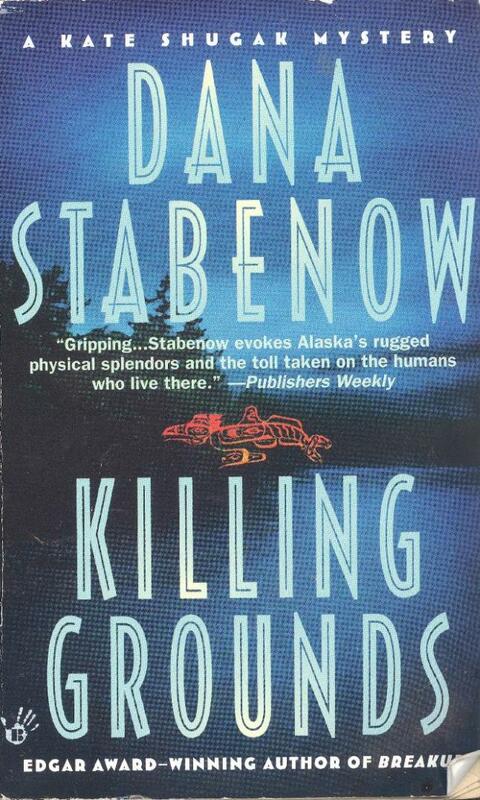 This time, however, I spotted the first three books in a Dana Stabenow series about Kate Shulag, a PI in Alaska. 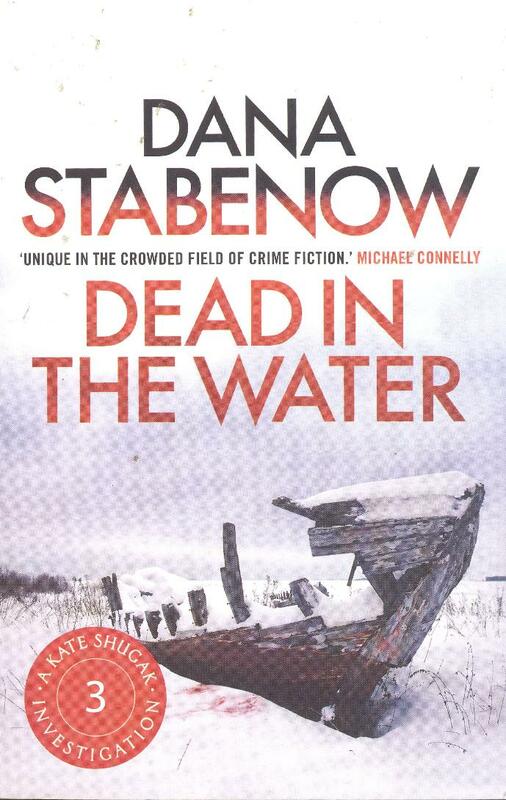 I had never heard of Kate Shulag, nor Dana Stabenow, but then read on the cover that book one had won a CWA Edgar award for Best Paperback Original of 1993. So, intrigued to read about life in Alaska, I decided to give the series a go. And why not ? Dana Stabenow was born in Anchorage, Alaska in 1952, and raised by a single mum on a 75 foot fishing tender in the Gulf of Alaska. She tells a funny story that as a child, when she wasn't seasick, she wrote stories about normal children who lived on shore, and made her mother read them ! It can't have been the easiest of childhoods - poor Dana's 12th birthday pary was even interrupted by the 1964 Great Alaskan Earthquake. But Dana was schooled, graduated from High School in 1969, and then put herself through college. She graduated with a BA in journalism from the University of Alaska in 1973, then enjoyed a well earned four months back packing trip to England and Europe. Back in Alaska she worked for service company on the TransAlaska Pipeline project, and then for six years for BP, earning enough to enjoy frequent trips to warmer climes such as Hawaii. Next, at the age of 30 in 1982 came a change of direction and three years of further study - Dana wanted to become a book writer. 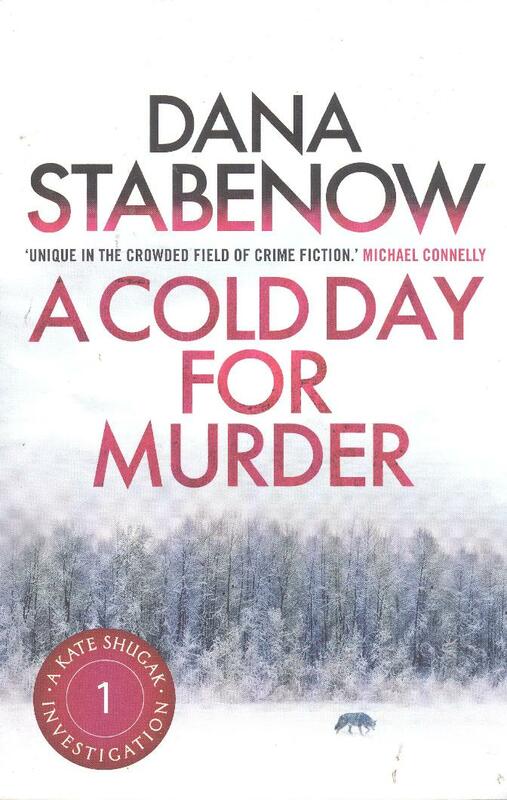 Her first book was a sciece fiction work published in 1991, but the first Kate Shulag book, "A Cold Day for Murder" appeared in 1992. Dana has written several other series, but most of her efforts have concentrated on the Alaskan Aleut PI Kate Shulag. Alaska is an unknown territory - I know its very cold there, but almost nothing about its history, geography , mountains, rivers nor the diversity of its people. The Aleuts are the indiginous people of the Aleutian Islands of Alaska and Russia, and on first reading seem to have much in common with the native indians of America and the Aboriginies of Australia in that they are an old community struggling to preserve ancient ways and customs, their way of life, to survive in the modern age. Do they keep separate, or integrate ? Sadly I feel they may be fighting a losing battle. I read this book in October, 2015. It's always interesting to begin a fresh series - something new. Here we have once again a female writer writing about a female PI. How will Dana Stabenow/ Kate Shulag compare with Rebecca Tope/Thea Osborne, or Sue Grafton / Kinsey Millhone ? In this case though, two things are new - the striking wilderness setting of Alaska, and the choice of a native Aleut as the main character. I liked them both, and can see why book one won an award. "A Cold Day For Murder" is book one of the series, and has a striking opening in a desolate snow bound wilderness when two men on a Ski-doo approach a lonely cabin. This is where Kate Shulag has been hiding for the last 14 months, alone but for her faithfull half husky / half wolf Mutt. One of the men, the big man, is Jack Morgan and there is obvious history between Jack and Kate. It turns out that Kate used to work for Dan as star investigator of the Alaskan DA. She had been sent to investigate child molestation, found the father in the act of abusing his 4 year old daughter, killed him in a knife fight getting badly scarred herself (scars she still bears), but has since been haunted by images of young children with faces pleading Kate not to harm their parents. Kate resigned, pinning a note on Jacks door with the bloody knife she had used on the molester. The setting is a national park of 20 million acres, frozen solid most of the year. A park ranger has gone missing - but he is the son of a congressman who wants him found. A second ranger has also gone missing - hence the pleas for Kate, the best there is, to come out of retirement (she is only 30) and find the missing rangers. Kate is very special, the grand daughter of Ekaterina, the old leader of the native people. Ekaterina is very strong willed, wants to keep her family about her and preserve the old ways - but the young want to escape to the civilisation of Anchorage. Kate is equally strong willed. Her parents died when she was eight, but she refused to leave her cabin home to live with her grandmother, and instead was brought up by her older cousin Abel, as part of his family. Abel taught Kate all she knows, all her survival and tracking skills - the things her father never got round to teaching her. Kate was a quick learner, and like Abel loved the wilderness. Kate was Abel's favourite. Kate wants nothing to do with Jack, but agrees to take on the job for $400 a day when she learns that the second missing ranger is an ex boyfriend trained by her - she feels responsible. The story is are the rangers missing or were the killed, and if so by whom. Kate knows everyone in the park, and is related to half of them - so if there is a killer the chances are it will be someone that Kate knows. This is different from the Hamish Macbeth stories where the murder victims and killers are usually outsiders. There are lots of new native words, but Dana uses them freely with no glossary - which surprisingly I found was probably the best approach, and emphasises that this is something very different. Kate has been in isolation for 14 months, and catches up with all the gossip she has missed - so we have lots and lots of names and trivia, but it works very well, and we get a good picture of the place. Drink is a great problem - only permitted in the privacy of your own home. There is a road house just outside the park boundary though, where the scene is like something out of the wild west, only colder. But they do have flush toilets there, and their own generator. There is little work so most are on social security - the girls get married to some drunken waster, get pregnant for the allowance, and when they need more money, have another baby. No wonder they all want to escape for a better life. Kate had escaped, but came home. Had she betrayed her tribe and her grandmother by leaving the park, or by coming back ? And yet there is lot of beauty, and bountiful wildlife in an area not yet spoiled by man. It will be interesting to see how the place changes from 1992 to the present date - will they get mobile phones and the internet ? I liked the setting, the ethnicity, the formidable Kate Shulag, and Mutt - and Dana Stabenow tells a good tale. Eventually its all sorted. Kate refuses to work for Jack again, but agrees to one off assignments when he needs something doing inside the park. Hence I supose the private investigator title for Kate. I look forward to the next book. And it's certainly different ! I read this book in November, 2015. This is book two in this series about a very different female PI - the Aleut Kate Shugak, which is set in a desolate, native park in Alaska. Kate is the grand-daughter of the ancient leader of the "clan", but sadly Kate and her grand-mother don't really agree on much. The grand-mother wants to preserve ancient ways, but Kate realises that time moves on. Often a second book in a series is a disappointment, after a highly praised opening book, indeed a prize winning opening book in this case. But I liked book two even more than book one. 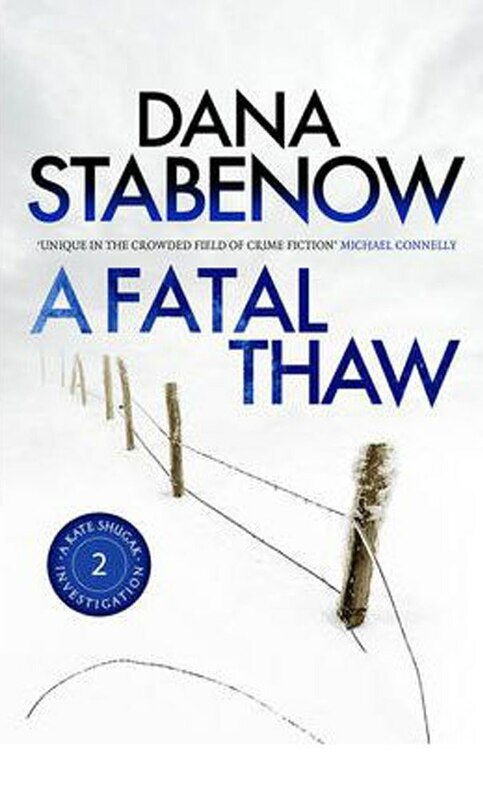 Dana Stabenow said that for a long time, "A Fatal Thaw" was her favourite book, especially because of a very moving potlatch where Kate went native, almost into a trance, and tapped in to her clan's ancient rites. All the members of the clan cooked their favoutite dish, and all were shared at a get together to remember and honour the recent victims of a mass murder of nine helpless victims by an insane Roger McAniff, but it turns out that McAniff was only responsible for eight of the nine shootings. Lisa Getty had been shot by a different rifle. Lisa had lived with her sister Lottie - both went to the same school as Kate. Kate had been brought in to capture the mass killer, and she brought in McAniff alive - but everyone told her it would have been better just to have shot him. Kate now has to go on to find out who killed Lisa, and really it turns out she and everyone else probably knew who did it all along - but didn't want to admit it. As well as the murder mystery, there were two other strands to the book. Strand one is a terrific evocation of what it is like to be an Aleut, and live in sub zero temperatures. Even dressing to go out takes ages - put on a many socks as you can, but still get your feet into your boots, and then put an extra sock over the boot. Strand two is what is happening in Kate's private life, and it seems she has many admirers. Bobby who runs the radio communications, seems to be doing well, having just saved Kate's life. Is he to be a rival to Jack Morgan ? Or will chopper pilot Jim Chopin beat them all in the end ? We will have to read on to find out. As big a character as any is Kate's dog Matt - half husky, half wolf. Matt is in heat, and a wolf is calling from the woods. Matt later saves Kate's life - in short, Kate and Matt are a great team, two partner buddies. It certainly is an interesting series. This is book three in the stories about female Aleut PI Kate Shugak by Dana Stabenow. This is about a very different life style in the extreme cold and generally atrocious weather conditions of Alaska / the Aleutian Isles. It's also the story about a clash of cultures, about the old wanting to hold on to tradition, and the young wanting to abandon the past and join modern life. Kate is somewhere in the middle - sadly she has resisted learning some of the older skills just to spite her forceful grandmother, but now she sort of regrets lost opportunities. Kate needed a better teacher ! Usually Kate lives alone in the wilderness with Mutt, her half wolf, half husky. But in this story, Kate has had to say goodbye to Matt, and is working undercover for Jack Warner, catching crabs in Alaskan waters on the tossing deck of the Alaskan trawler the Avilda. Two crew members of the Avilda had gone missing - Christopher Alcala and Stuart Brown. They had gone ashore on Anua Island to replenish water stocks, and were never seen again. What had happened to them ? Their relatives wanted answers, and so Jack Morgan has sent Kate undercover as deck hand on the Avilda, alongside the crew of captain Andrew Gault, and deckhands Seth Skinner and Nordhoff. It was hard, hard work, fighting the elements on the tossing Bering Sea. The pay, a percentage of the take, can be great, but you have to survive to get paid. They are on a tiny boat that is being tossed about in freezing waters. If too much ice forms on the rigging and the superstructure, the boat becomes top heavy and unstable. So Kate has to detach large clumps of ice with a sledgehammer. When the boat is over the crab positions, it is non stop, soaking wet work for 30 plus hours, ie for as long as it takes to fill the hold of the Avilda. Kate's body cries out for sleep and food. Kate wonders why she let Jack talk her into this - she just wants to go home, and see Mutt again. On the other hand, Anua Island has close, ancient connections with the Aleuts. How otherwise would Kate get the chance to visit tribal lands. Kate is strong enough to survive these conditions, but it is a close call. Kate has one friend aboard, the youthful deck hand Andy Pence, and they help each other survive. Andy has a fascination for all things Alaskan, and this awakens her interest too in her Aleutian traditions. Kate also meets her grandmother's equivalent in Auntie Olga, and her young daughter Sasha. Olga's drinking deprived Sasha of oxygen at birth. Sasha is gifted but will never be normal. It's not a long story, but a gripping one. 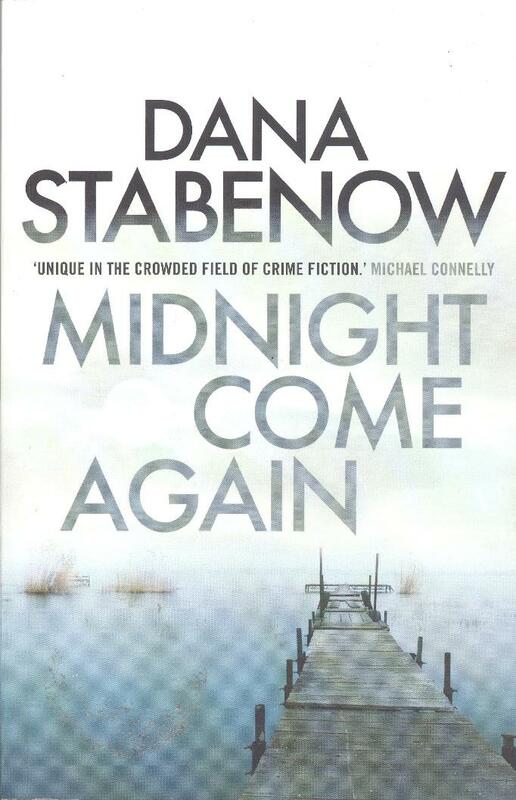 Dana Stabenow knows her stuff, and is a good and convincing writer. I liked the story. In any series the hero / heroine goes away on a special mission, and this is OK on the odd occasion. That said, I prefer Kate to be on home territory, with Mutt. All in all, its a cracker of a story about survival in back breaking conditions - very different, and a good read. 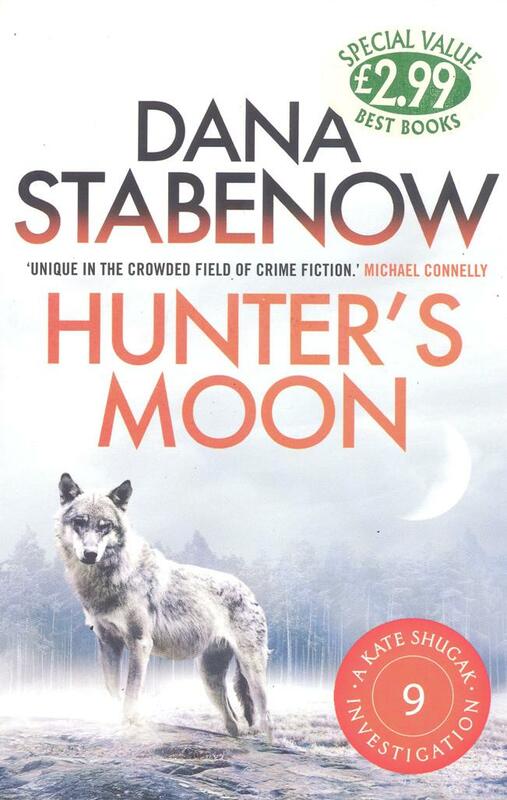 This is book four in Dana Stabenow's series about female Aleut PI Kate Shugak, and her half wolf, half husky dog Mutt. Sadly in this tale Kate is once again not on home territory, so Mutt doesn't figure much - a great pity. We are introduced to the Prudhoe Bay oil operation run by the fictional Alaskan Royal Petroleum Company (RPetCo) and its no nonsense CEO Jack King. There is a company wide drug problem that King wants fixed quickly. He needs someone at ground level to infiltrate and find out what is going on, and who better than Kate Shugak. RPetCo is not held in great esteem by the native a Alaskans and Aleuts. There had been a (fictional) oil spill that ruined much of the land, and preservation of native territory and ways is an imperative for Aleuts / Alaskans. Kate will only take on the job is she is paid way over her normal rate, and settles for $1,000 a day plus expenses. Childless, the head of security, is totally against hiring an outsider, but King is in charge. Has Childless something to hide ? Kate has never been so far north, and seeing this part of related native territory is another reason for accepting the job - but of course Kate keeps this to herself. Kate is hired as a casual worker, and is flown in to the RPetCo site. It is freezing cold, blizzard territory, but inside the insulated quarters and walk ways, life is not so bad. The food is plentiful, high quality, and Kate drools about the thick steaks and must have puddings - she puts on 5 lbs in a week. She has never lived so comfortably, so much choice, meals cooked for her, no washing up, cinema, TV, library etc. At the very end of the story, she tells her boyfriend Jack, no more RPetCo assignments - she liked the living too much. Possibly that was a joke - Kate missed home and Mutt even more. But there is a job to be done. Kate is assigned to be the bus driver for Toni Hartzler, female PR representative of RPetCo. They meet VIP parties (senators, etc) who have flown in, and give them a site tour and the company PR Spiel. Toni is excellent at this - a vast knowledge of everything oil related, a constant smile, and never flustered even when dealing with rudeness and ignorance. Throughout I have been careful to state that RPetCo is fictional, and there had been no oil spill. But Dana Stabenow writes with such knowledge that it could not all be made up. At the end of the book, Dana admits that she did work in Prudhoe Bay for BP, for a year, and that Dana, raised on a 75 ft trawler in Alaska, liked it so much that the year became 6 years. She did the Toni Hartzler job. It is so realistic that someone who worked on site and read the book wanted to buy more Kate Shugak books - he commented "she even knows where the light switches are". Of course she does - she was there 6 years. It's a good story, full of danger for Kate - she nearly gets killed several times. But back her into a corner, and Kate is a fierce animal that never backs down. There is quite a bit about native culture trying to survive in the modern world, but suffering from drug abuse and alcoholicism. Kate's grandmother find out Kate has taken RPetCo's money, and is aghast. I thought both sides were given with fair balance, and at the end Kate makes her peace with her grandmother - the legendery Ekaterina Shugak. I always say that Kate is a PI with a difference, but this is true. Kate has a strange relationship with her boyfriend Jack - together they are solid, and Jack tells Kate he loves her, and wants her to live with him in Anchorage, but Kate is defined by her culture and a strong sense of place, and cannot leave. So whilst the book has a happy ending for Kate, back home, with Mutt, and Spring on the way, what about Jack ? Smashing stories, but will Jack wait for ever ? This is book five in Dana Stabenow's series about Kate Shugak, an Aleut, and PI with a difference. She lives in the beautiful Alaskan wilderness and her half wolf, half husky dog Mutt. Her boyfriend Jack Morgan has asked her to marry him, but that would mean she would have to leave her house by its little creek, near the broad Kanuyak river, with the mighty Quilak mountains in the distance. There is no finer sight on earth. These books are all about place, and family / tribe. Kate is highly independent, but is still the grand daughter of Ekaterina Shugak - matriarch of the tribe. Sometimes Kate's cases take her away from her beloved home, but here she is on home territory, and the book is all the better for that. I liked this book with its realistic depiction of the life and times of the locals. 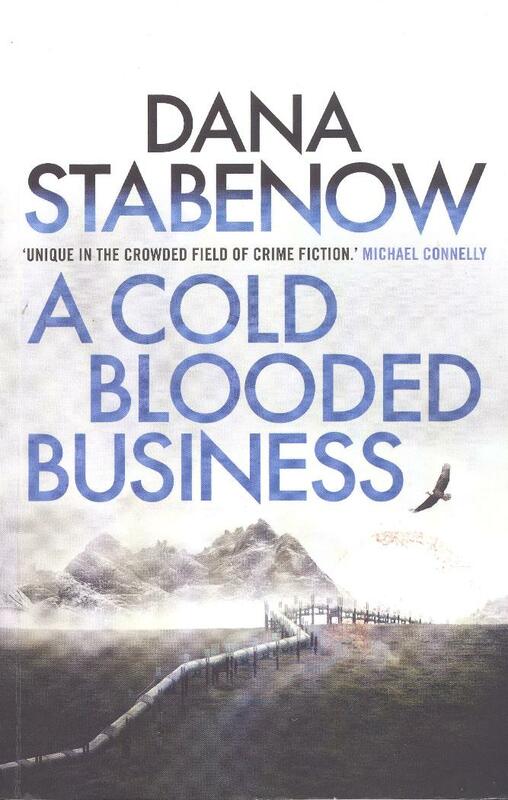 The story was OK - perhaps it went on a bit about the abuse of religion by some of its fanatics, and I could have done with a better ending, but I think Dana Stabenow's ending is more realistic. You cannot lock up all the evil doers - you do what you can, and walk away. First to the plot. Alaska has had a terrible forest fire, but the land is recovering, and some rain brings a huge crop of morels (ie mushrooms) There is money to be made picking these morels, and so Kate and Bobby, the coloured ex Vietnam double amputee are off trying their luck - but their picking is cut short when Kate discovers a body in the ash of the forest. The body is naked - who on earth would wander about a mosquito infested forest with no clothes on. Shortly after, Kate is approached by a young 10 year old lad, Mathew Seabolt. His father has been missing for months and he wants Kate to find his dad, Daniel Seabolt. Kate suspects that she already has ! Daniel was the son of the local pastor Simon Seabolt, and was teacher at the local school. Surprisingly no one had reported his disappearance. Kate goes to the pastor Simon's church to start her enquiries, but is dismayed to discover what kind of sort of church Simon leads - ie extreme religious fundamentalists who want to burn books, ban science, and have divine creation not evolution taught in schools. When it is confirmed that the body is that of the missing teacher, Mathew wants Kate to stop asking questions - he says God will punish her if she does not stop. The grandfather seems to control the boy's thinking, and that of a lot of the locals. Kate keeps going determined to find out the truth behind the death - no one deserves to die like that. Kate succeeds, but there is no proof. Besides, those who did the deed were not the ones really to blame - not the one who incited his followers. In Kate's personal life we find that Jack Morgan is still very much on the scene. Happily Kate and her grandmother are getting on better - each is trying to put old differences behind them. Kate's investigation takes her to Fairfax - the place where she went to Uni. Jack askes her why she had never gone back before, and Kate trusts Jack enough to answer. Kate then was a frightened, lonely 18 year old girl who had never left home, could not read, had never seen so many white people, had never been out of the Park before, never talked on the phone, nor seen TV, nor a movie, nor driven down a paved road. She was terrified, but had to stick it out. It would be a disgrace personally, to Ekaterina Shugak, and to the whole tribe if she dropped out. She had been sacrificed to the ambition of her elders. Poor Kate - perhaps this explains why she is so tough now. At the end of the book, Jack tells Kate that he will have 10 days off at Labour day (or Labor day, as Dana is American). Kate says "see you then, and bring your kid with you, if you like." And so we have probably had the scene set for the next book. All in all, a very interesting, very readable series. This is book six in Dana Stabenow's series set in Alaska, featuring Kate Shugak, the Aleut PI with a difference. She lives by herself in the beautiful Alaskan wilderness by a little creek, near the broad Kanuyak river, with the mighty Quilak mountains in the distance - not quite alone, though, with her half wolf, half husky dog Mutt. Kate has a boy friend Jack Morgan who lives in Anchorage, loves Kate, and has asked her to marry him, but she would never leave the paradise she calls home. I can't imagine how they are ever going to settle down - but all of that is for the future. This is a beautiful story on so many levels - bitter sweet, well constructed, funny in places, but very sad in others. I loved it. Yes we have to put up with a potted explanation of Alaskan politics, but the author keeps this to a minimum, and it is necessary to explain the world in which Kate's grandmother, the famous Ekaterina Shugak must tread for the sake of her people. Of late, Kate and her grandmother have sort of called a truce, and been getting on better. This story starts with Kate at home, in her wilderness idyll, romping in the snow with Mutt. A Moose strays near her front door, and soon Kate has enough meat to keep her going all through winter. She is dancing a dance of joy, when she sees an old lady standing at the edge of the woods. Ekaterina has come to visit Kate - later we will learn what she wants. Now grandmother and granddaughter butcher the moose - it's 3 days of hard work, but happy, companionable days. At the time we do not realise that these days cannot be relived. Ekaterina needs Kate's special help. The beloved Iqaluk region is in danger, a vote at the forthcoming Convention has to be won in the face of some shady dealings, and soon two of Ekaterina's allies are dead. Kate has to fly to Anchorage to assist in the fight - and there she finds that Jack also has his problems. Jack's wife Kate is contesting custody of their son Johnny, and claiming Jack beat her and Johnny. Kate's battles include having to give a speech to the convention when her grandmother is taken ill - and Kate turns out to be a surprisingly good orator. Kate also has to dress up in a party frock - this involves a very funny sequence with Jack at the very posh Nordstrom department store. She scrubs up nicely but is horrified when she starts to pay attention to what everyone else is wearing. Whenever did Kate care about such things ? And then, when the battle (but not the war I fear ) is won, and time is bought, the scene switches back to the beautiful peace and calm of home, and an achingly beautiful potlatch (wake) to which everyone, but everyone comes. All must now change ? Kate has always refused to step into her grandmother's shoes, but fears she may have to, some time soon. Let's hope life can go as before for a few more books before this may have to happen. As always, I have tried not to spoil the story, but to give a flavour. 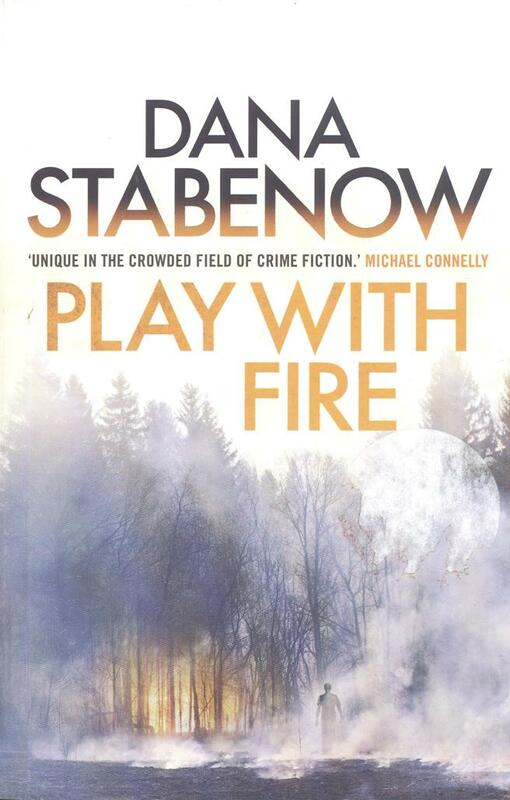 The author, Dana Stabenow, writes a final note to the book saying what she liked about this story. I absolutely agree. It's a lovely little story. Well done, Dana Stabenow. 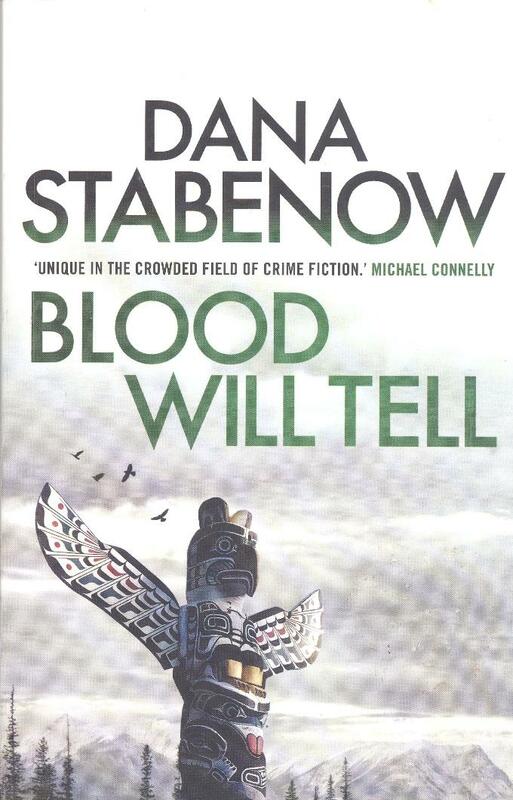 This is book seven in a very different series by Dana Stabenow about Aleut Kate Shugak, and set in Niniltra native settlement in the wilderness of Alaska. Usually in these write ups I go on about the dual aspect of book series - we have a new crime mystery to solve, and we have another chapter in the personal life stories of the main characters. In this story though, there is very little of a main story, but a very full dose of Kate's personal life. I thought perhaps "Breakup" was to be about the end of the long distance romance between Kate and Jack Morgan. Kate has always been self sufficient, likes her own company in the wilderness, but Jack is in Anchorage - he can't move to her, and she won't move to Anchorage. However "Breakup" is the term for the arrival of Spring in Alaska - winter going, and the ice melting, life reappearing and everything and everyone getting frisky after being cooped up for the long dark winter months. It should be a period of hope and renewal, but too often it turns out to be destruction and despair. In three days just about everything that could go wrong happens to Kate. She is lucky to escape an encounter with a hungry bear, then meets two more bears. An engine falls off a passing aeroplane onto Kate's homestead, narrowly missing Kate and Mutt. But it fairly manages to trash the place, creating a hole in her roof, breaking her setee, and destroying her trusty means of transport. She is out of supplies, and has no way of getting to the stores. Then her peace and quiet are shattered when a disaster recovery gang turn up to catalogue and start to clear up the damage. Kate is not in a good mood. Her friend Mandy has her very rich, posh parents visiting, wanting her to return to civilisation, and making her life unbearable. Mandy offers Kate her 4 x 4 if Kate will give her a break from her parents, and take them off on a tour of the park. Kate agrees, and gives an unintended tour to end all tours. They get caught up in dead bodies, dodging bullets, punch ups, etc, and eventually Kate gets them drunk. It's been trouble after trouble after trouble, but the parents survive and come to respect the place and appreciate their daughter's place in the community. On top of all of this, as the deceased Emaa's granddaughter Kate gets drawn into park politics, dispute settling, etc, and ends up helping the management committee of elders set up a medical centre in Niniltra. She doesn't want to get dragged in, but sometimes you just have to do the right thing for the community even though you'd rather not get involved. There is one bit of a mystery to be solved. The dead body of a man is found near Kate's property, but not actually on it - "not my responsibility" protests Kate. Then Mark Stewart is found by Kate (and Mandy's parents) in a state because a bear has killed his wife Carol. But this doesn't stop him flirting shortly afterwards. It's Kate not trouper Jim Chopin who connects the two deaths, and sort of dishes up outback justice. All in all, an interesting visit to Alaska, and a vivid portrayal of the frontier spirit of the people there. We meet lots of characters we have met before. The spirit of Kate's grandmother Ekaterina lives on in Kate. What will the future hold for Kate ? Do Kate and Jack have a future together ? Can Kate continue to resist stepping into her grandmother's shoes ? In short, roll on book 8. I read this book in December, 2018. This is book eight in a gem of a series set in and around the Niniltra native settlement in the wilderness of Alaska. Kate Shugak is an Aleut, a former trouble shooter for the DA's office but now freelance, and lives most of the year in an isolated log cabin in the snowy wilderness with Mutt, her half husky, half wolf. Kate is a ferocious warrior and an able detective. Kate is also the granddaughter of the deceased Emaa, the extraordinary old lady who was tribal leader, and a ferocious political defender of native rights. You really do need to read this series in the correct order to appreciate it's rich back story. Kate should be Emaa's successor but she hates politics and doesn't want the role. But she is more or less doing it by default - e.g. when the members of the ruling committee ask Kate what she thinks about something. It's taken me over a year and a half to get a copy of Killing Grounds, and even then I had to give up on charity shops, and take to the internet - (abebooks.co.uk). It's a terrific story with just the right blend of back story / Aleut setting / Kate's love life, and main (?) plot - a murder to be solved. Most of the stories that I read are good, but ever so often, one comes along that absolutely delights, and this is one such story. Lets start with the back story. Kate and Jack Morgan are still live apart lovers. Jack now has gained custody of Johnny, his 13 year old son, and Kate, Mutt, Jack and Johnny spend as much (idyllic) time together as they can. This story is set in summer, which is salmon time in Alaska, and Kate is the one person crew to her uncle, old Sam Dementieff - older than god, no one knows more about fish than Sam, his word is his bond. Working out of the Alaskan port of Cordova, Sam owns the "Freya" a fish tender into which smaller boats offload their catches - which are weighed and a receipt issued. A receipt signed by old Sam is never questioned. We also meet four of Kates old aunties - Auntie Joy, Auntie Vi, Auntie Edna, and Auntie Balasha. They are working a fish ladder contraption of questionable legality (it scoops up salmon) at their cabin on the edge of the Amartuq river. There they gut and fillet the fish, and wood smoke it for four or five days - alder wood is best. As natives they have been fishing these waters for always - it is their right to take fish for subsistence. But others covet the fish, or the land. Here fish sustainability, national government wanting to freeze development and set up national parks, federal government wanting to lease the land for mining or tourism income, commercial fishing, and sport trophy fishing all clash. Trooper Jim also features in the story. The main plot introduces us to one really unpleasant character - Cal Meany. He is a wife beater, son beater, cheat, land grabbing rogue, strike breaking scab, womanising bandit, schemer and in short just horrible scum in every way. Cal gets himself killed (hooray - but we can't condone murder) and his floating body is fished out of the sea by Kate. She informs trooper Jim who flies in to take charge, but has to fly out again to get the body to the pathologist. He asks Kate to set the investigation going. And so we meet lots of characters - all of whom have cause aplenty to want Cal dead. Worryingly the list of suspects includes some of Kate's relatives. Is there to be a clash of loyalties. Old ways die hard. Elders have earned respect, and will not be questioned like common suspects. Kate knows this - but forgets herself when she bad mouths old Sam. Luckily they are moored up near the shore when he tosses her overboard into the cold sea, and after wading ashore she has to trudge wet and shivering back to base. Initially she is furious, and later she is ashamed. There is another murder, and lots of life threatening incidents, and of course it all builds to a terrific climax. As an aside I was greatly impressed by the author's obvious knowledge of Alaskan salmon fishing in all it's varieties. She used to live on a trawler and so knows all the names for parts of a boat - but its more than background knowledge and good research ; it's a love and respect for the subject, and an ability to make it all so interesting. It's like the wild west on ice at times. It's a great story in every way. Luckily I have both books nine and ten on my waiting to be read shelf. I'll read something else next, for variety, and then get back to Kate. This is book 9 in the Kate Shugak series, and be warned, it's a sad story without a happy ending. The main story is that a friend of Kate's, George, is the owner of a game hunting camp - on an old abandoned gold mine. He is hosting a party of 10 German tourists - led by Dicter, the CEO of a German based international computer software company. This company is DRG, and it is under investigation worldwide for financial impropriety, corruption, etc. Dicter has ordered his top 10 executives on this hunt - so it's 10 hunters, 9 men and 1 woman. They are a haughty , self centered bunch used to giving commands and being waited upon, but George has made it clear he does not run a five star luxury camp. He has hired four guides for the hunt - Kate Shugak, Jack Morgan, Demetrios, and old Sam (for whom Kate crews in the salmon hunting season). The men have spent a fortune on guns, but are mostly inexperienced, apart from a couple of Nazi thugs. Right from the start it's a battle of wills - trying to get the German to follow hunting rules and the law of the land. Kate has a bad feeling about this hunt - but they are paying well. What follows is an evil carnage, and hardly anyone is left untouched. Sadly, Kate will be devasted by the end of the story. In the private life sub plot, the Kate and Jack Morgan story explodes. Jack and Kate have been in a relationship for years, but Jack has worked in Anchorage, and Kate treasured her independence in her wilderness cabin with Mutt, her half wolf, half husky companion. Jack says he is to retire, and wants to live with Kate at her cabin. He has learned a love poem by heart which he recites to Kate, and asks her to say yes to him moving in. Kate has always loved Jack, but she also loves her independence. After much soul searching, she decides they must give it a go. As soon as she said yes, I wondered if an idyllic life together for Jack and Kate would ever happen - especially so early in the series. I thought she might change her mind, or they might quarrel, or something. But I didn't expect Dana Stabenow to be so ruthless. I thought immediately of Ann Cleeves and her similarly brutal treatment of poor DI Jimmy Perez in the Shetland series. As I said, be prepared for a sad ending, and like all good writers, the author leaves some things uncertain at the end of the book. Of course we must read on. As an aside, in much of this hunting trip story, I was also reminded of the Elvis Cole & Joe Pike stories - lots of guns, and page after page of continuous action. Finally, there is almost nothing about Kate's tribal home Niniltra in this story other than some flashback stories about Kate's childhood, and fierce independence. Most of the books that I read are strong stories by established and sometimes award winning authors. Every so often I get a bonus when I come across an extra special book, and "Midnight Come Again" is one such book. The previous book in the series all but destroyed the remarkable Kate Shugak. The love of her life, Jack Morgan, was killed. He died in her arms, watched over by Kate's badly (but how badly) injured dog Mutt, and his dying words to Kate were "look after Johnny" (his son). Kate is wailing in despair. This book is set about nine months after the above terrible events. Kate has gone. Everyone is very concerned and they call in trouper Jim Chopin to find Kate. Everyone, but everyone, tells him "Bring her back, Jim", but he can't find her, and it worries him. The book opens with a two chapter prologue. Chapter 1 is set in St Petersburg, where the Russian mafia have hijacked a plutonium consignment to sell to the highest bidder. Chapter 2 introduces two FBI agents following a lead that the plutonium may be in Alaska, in Bering. We now have trouper Jim being given a temporary assignment to go to Bering to help the FBI. Quite a lot of chapters have now gone by, and we still don't know what happened to Mutt. Of course, it is in Bering, undercover as Jim Churchill, that Jim bumps into Kate - and we find out if Mutt survived. Kate is now Kathy Solovik. For the first time in his life trouper Jim loses his temper, and shakes Kate as he shouts at her "Do you know how many people, your friends, are worried sick. Couldn't you at least have said you were OK !" Jim had earlier established that Kate had last been seen leaving Niniltra with a badly wounded arm. We only find out the significance of this at the end, and it's only at the very, very end of the book that a repaired Kate can start to keep her promise to Jack. Kate, as Kathy Solovik, had been working 24 hour shifts at Baird Airrlines - only complete exhaustion allowed her to stop missing Jack so much. Slowly, Kate is drawn into Jim's assignment - especially after Jim is shot (but not fatally injured). And now the search for a Russian mafia killer is really under way. Kate visits a Alice, an old college friend living in Bering. Alice is amazed that Kate had been in Bering for months, but had never got in touch. Alice works in a local bank, and Kate asks her to get Kate some information about fish processing boats banking there. One of these boats is a Russian fish processor. Poor Alice gets killed, and Kate is distraught. "I am the Angel of Death." Alice leaves behind a remarkable little daughter Stephanie. Kate too was an orphan - and she promises to help Stephanie - "phone me at this number, a friend will let me know, and I'll come running." But meanwhile Kate advises Stephanie to stay living with her grandparents for the next 3 years. There are so many parallels with Kate's life, and perhaps Kate now regrets that she didn't stay longer with Emaa, her own grandmother. Alice's grandfather Ray had been Emaa's lover - apparently everyone knew, except Kate. He gives Kate some excellent advice. "I could have been your grandfather. You have been badly hurt by the events of last September. Don't let them destroy you !" Lots and lots happens in this story - including what happens between Jim and Kate one night, instantly regretted. Gradually Kate is starting to want to live again, and missing her cabin in the Alaskan wilderness. Yes, she has been badly damaged, but Kate is still a formidable foe - even for a dangerous Russian gangster. I like the occasional mystic native references to Emaa. Her spirit is everywhere, especially in the sometimes heard three sharp notes of a bird in the trees. It has taken a whole book for Kate to accept Jack Morgan's death. Let's see what the future holds for Kate, (and perhaps Johnny, and perhaps Stephanie). You will have noticed that I don't write spoilers - especially about Mutt.